Abby Brown is a teacher at Torrey Pines High School. Over the last decade, she has used Wolfram technologies to develop and publish interactive course materials for high-school and junior-high mathematics. In addition to evangelizing the Wolfram Language to colleagues and students, Abby actively shares her course materials through a variety of websites. She has made numerous contributions to Computational Thinking Initiatives and has started the Computational Thinking Club at her school. Many of Abby’s former students go on to use the Wolfram Language for hackathons and university work. 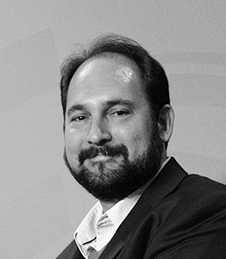 Dr. Colletti is an operations researcher and former Air Force major who has used Wolfram technologies extensively for research in defense and homeland security analysis. 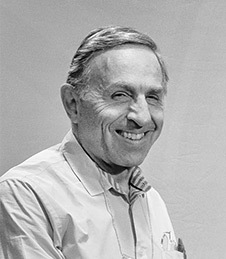 He used Mathematica to finish his dissertation on group theory, as well as for a number of subsequent publications over the following two decades. Consulting for many classified government projects, he utilizes the Wolfram Language and Wolfram SystemModeler to develop large-scale analytic models for personnel, logistics and program evaluation. 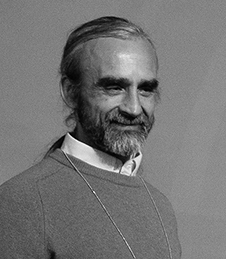 Dr. Colletti has guided the research of eight master’s and doctoral students at several universities, and he has won awards for his work instructing mathematics courses with the Wolfram Language at Northern Virginia Community College. 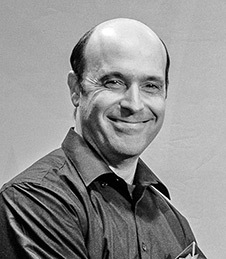 Nicholas Mecholsky is a research scientist and professor focusing on optimization and physical modeling. In addition to demonstrating high-level math and physics concepts to his students with the Wolfram Language, he has utilized it in research publications on subjects ranging from animal flocks to autonomous cars to thermoelectric transfer. He is currently involved in a joint project with the US Department of Energy and Vitreous State Laboratory using Wolfram Language image processing and machine learning to model, analyze and predict crystallization phenomena in nuclear tank waste. The project has significantly improved the efficiency of vitrification (transformation into glass), helping to make safer nuclear waste storage a reality. Dr. Ramirez is a professor dedicated to applying contemporary mathematics to the natural sciences using the Wolfram Language. In addition to using the Wolfram Language daily for simulating natural processes, solving ODEs and PDEs, and performing administrative tasks like class management, he regularly evangelizes it to his students and colleagues. Dr. Ramirez also uses the language to develop interactive lectures, notes and other course materials—most notably for differential calculus lectures with 50+ students. He is currently involved in various research projects using the Wolfram Language to model, analyze and predict processes such as ant pheromone dynamics, nonlinear transport in breaking oceanic waves, runoff distribution in watersheds and glucose levels in diabetics. 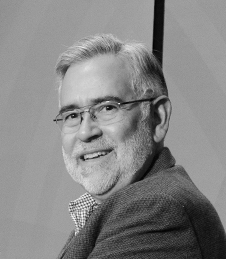 Dr. Santos is a data scientist, professor and author who uses Wolfram technology to advance data and device integration in a variety of sectors. He and his team at EMC Insurance have used the Wolfram Language and Wolfram Enterprise Private Cloud for valuable research analyzing data from IoT devices to help improve driver safety, reduce fuel consumption and identify worksite hazards. 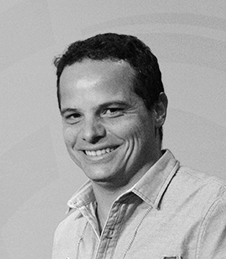 As part of a recent startup, Dr. Santos also worked on the development of a nanotechnology device for efficiently identifying the genetic makeup of food products, with future plans to integrate Wolfram Cloud technology to provide additional analytics and services to consumers. 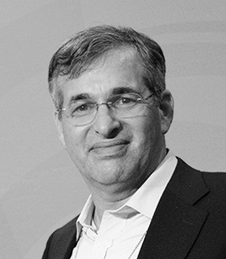 Dr. Singer is a mechanical engineer and entrepreneur who used Mathematica Version 1 in research to reduce vibrations in electric machines. Since then, he has heavily encouraged innovative uses of Wolfram technology within the engineering community. In 2013 he founded AC Kinetics, a company that uses the Wolfram Language and Wolfram SystemModeler to simulate and verify models for digital motor controller designs. The Wolfram workflow has provided the team with significant savings on development and computation time, and their resulting prototypes have reduced energy consumption by nearly 50% in some cases. Licensees of AC Kinetics products include many high-profile companies, such as NASA, Westinghouse and HP. In the future, Dr. Singer and his team hope to create interactive digital twins for real-time analysis and updating of models. 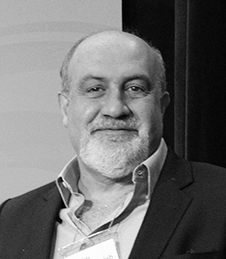 Dr. Nassim Nicholas Taleb is a world-renowned researcher and author with dozens of published papers relating to the philosophical, mathematical and practical issues with probability, especially in the fields of financial risk and decision making. His multivolume work Incerto, which covers broad facets of uncertainty, has been translated into 37 languages. 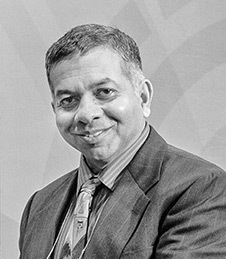 He currently serves as Distinguished Professor of Risk Engineering at NYU’s Tandon School of Engineering, with a focus on properties of “antifragile” systems whose functioning improves with disorder. 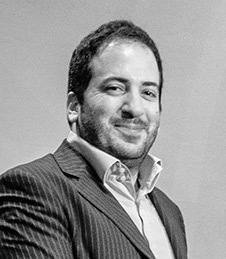 Dr. Taleb has used Mathematica extensively in his work, including for research into non-idealized probabilistic decision-making models and computational pre-asymptotics. 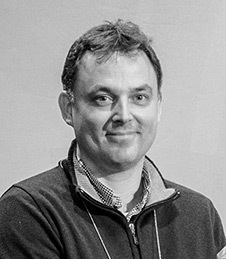 Marco Thiel is a professor at the University of Aberdeen who uses Wolfram technologies in various domains, including education and research. A true evangelist, he has introduced hundreds of students and industry professionals alike to the Wolfram Language, and is an active user on Wolfram Community. For the last two years, Dr. Thiel has been using the Wolfram Language to develop algorithms and analyze sensor data of subjects in clinical dementia trials. The analysis is performed on large datasets through the external devices of subjects, and predictive tools, which determine changes in brain connectivity as dementia develops, are created. In his classes, Dr. Thiel utilizes CDF documents to create interactive lecture notes for his students. Using real-world data, students are able to connect topics they learn in other courses through simulations done in real time, instilling computational thinking into students long after they finish the course. Dr. Chung is a professor at the Gwangju Institute of Science and Technology, and has created an extensive symbolic computing package for versatile manipulation of mathematical expressions using the Wolfram Language. His package includes over 800 functions ranging from basic algebra to functional analysis. The package also contains its own interpreter language, complete online documentation and two palettes for increased ease of execution. 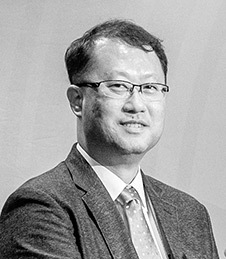 Additionally, Dr. Chung maintains the South Korean Mathematica Users group, and is a highly active member of the international community using Wolfram technologies. Dr. Singh is a quantitative analyst and software engineer at Quiet Light Securities and an early adopter of Wolfram Finance Platform. In conjunction with the CTO, Robert Maxwell, Dr. Singh brought Finance Platform on board to support daily derivative trading operations by developing extensive strategies and volatility surface models, as well as performing backtesting with intraday market tick data. He also provided daily snapshots of company-wide risk through CDF documents that provided insights and satisfied compliance requirements. He also developed an internal training program to bring quants up to speed with Wolfram technologies. In the future, he hopes to utilize the machine learning capabilities of the Wolfram Language to develop advanced trading algorithms through neural networks. 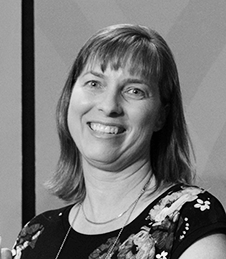 Dr. Reed is an applied mathematician at Aerospace Corporation who uses Mathematica to identify and create various aerospace solutions specific to rocket and satellite design and testing. A certified instructor at Aerospace Corp., he has introduced many colleagues to Wolfram technologies through his classes, where it has become a staple for experimentation. 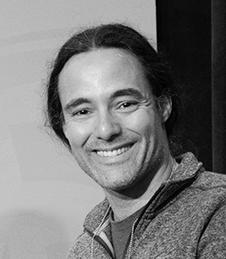 Dr. Reed has two approved patents that involve solving nonlinear boundary-value problems and rely on the Wolfram Language’s modeling and visualization capabilities. 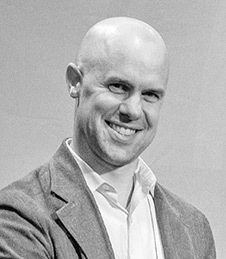 Peter Nilsson is an English teacher and the Director of Research at Deerfield Academy. Earlier this year, he led the development of an introductory course in digital humanities using the Wolfram Language. Designed for students with minimal coding experience, the course focused on four different projects blending students’ previous knowledge from English courses with basic computational concepts—allowing them to dive deeper into and perform textual analysis on famous novels as well as their own writing. David Milner is a research engineer at SAIC who was introduced to Wolfram technologies in 2016 through Wolfram SystemModeler. His project was the development and simulation of an octocopter—with all aspects of design, including every mechanical, electrical and control system, modeled with SystemModeler and the Wolfram Language. David’s project is now being presented as a potential solution for a vertical takeoff aircraft. 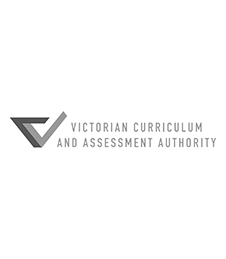 For the last six years, the VCAA has conducted a trial aligning the use of computers in curriculum, pedagogy and assessment. This trial involved a number of schools and several hundred students to develop effective methodologies for combining the use of Wolfram technologies and teaching. The trial was successful, resulting in a widespread acceptance of computer-based examinations with 700,000 Victoria students and teachers now having access to Wolfram’s educational-focused tool suite. 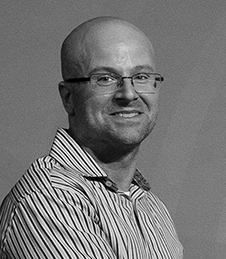 Dr. Fazio is an assistant professor at the University of Alabama at Birmingham whose main focus is optical imaging. His research using Wolfram technologies led to several significant NIH grants, including the 2017 Xtreme Research Award from Heidelberg Engineering at the Association for Research in Vision and Ophthalmology (ARVO) meeting. This award was granted to Dr. Fazio for creating a custom clinical imaging protocol for glaucoma patients that provides an estimate of the eye-specific mechanical response to time-varying intraocular pressure. Additionally, he created an image processing algorithm that quantifies the 3D structure of the optic nerve from OCT clinical data entirely in the Wolfram Language. 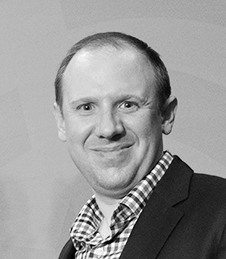 Andrew Yule is a flow assurance specialist at Assured Flow Solutions who developed an internal toolkit written entirely using the Wolfram Language and deployed it to his colleagues through EnterpriseCDF. Containing over 40 different calculations and workflows that are used daily throughout the company, this toolkit centralized Assured Flow Solutions utilities and has completely changed the way the entire organization views data analytics and visualizations. He also uses the Wolfram Cloud to deploy APIs that run calculations as a back end to Visual Basic UIs. 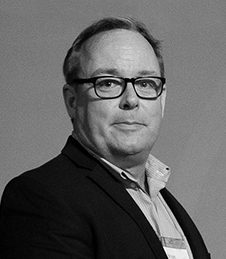 Bryan Minor leads algorithm development and associated intellectual property development as chief scientist at Acquisio in Montreal, Canada. He has developed Bid & Budget Management, a suite of fully automated algorithms for optimizing pay-per-click advertising across publishers, including Google, AdWords, Bing and Yahoo! Japan. Minor uses Mathematica and the Wolfram Language for research and data analysis, with algorithm implementation being focused on the API micro-service architecture of Wolfram Enterprise Private Cloud. 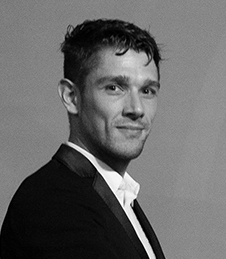 Richard Scott is part of a small group of engineers, pathologists and business development professionals at the pathology department at Mount Sinai working to commercialize image-based prostate cancer prediction models. The design of the analysis algorithms and the majority of the system development and testing were done using Mathematica and the Wolfram Language. One of the key technical advances of Scott’s system is its ability to accurately segment gland rings and fragments from prostate tissue across the full range of disease presentations using a Delaunay triangulation and Voronoi analysis. 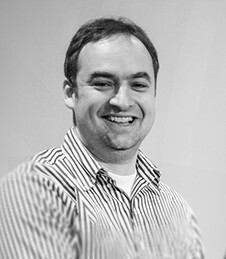 As data scientist and concept design leader at Georgia-Pacific, Brian Kanze uses Wolfram technologies to bring innovation to Georgia-Pacific’s consumer products division. He developed a large-scale analysis and reporting tool to assist building owners and managers in forecasting product usage, reporting availability and planning work shifts according to peak usage times. Georgia-Pacific is pioneering new software-based analytic services using Wolfram Language-based technology, and Kanze’s work has identified key areas where this technology can be used to enhance performance and analysis. 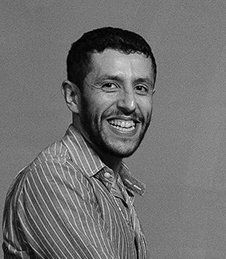 As an associate professor in the Department of Civil and Environmental Engineering at the University of Alberta, Samer Adeeb uses Mathematica in teaching continuum mechanics, solid mechanics and finite element method courses, introducing approximately 250 undergraduate and graduate students to the Wolfram Language each year. In addition to advocating for Mathematica’s use on campus, Adeeb provides a free, online civil engineering text utilizing webMathematica. In the future, he plans to transition his site and course materials to Mathematica Online. He is the author of the book Introduction to Solid Mechanics and Finite Element Analysis Using Mathematica, published in 2011. 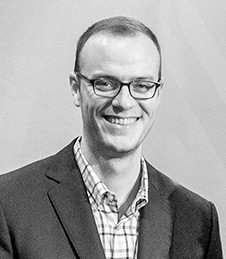 Maik Meusel is the chair of quantitative business administration at the University of Zurich’s Department of Business Administration. He uses Mathematica and the Wolfram Language to improve the online assessment process. While most assessments use standard multiple-choice questions, Meusel creates dynamic, more sophisticated and individualized questions that allow educators to more accurately assess a student’s mastery of learning objectives. In June 2016, he presented on the topic “Solving Real-World Business Problems in the Classroom” at the Wolfram European Technology Tour. Ruth Dover is a math instructor at the Illinois Mathematics and Science Academy (IMSA) in Aurora, Illinois. 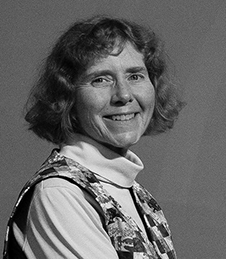 As an early adopter of Mathematica, in 1991 she oversaw its installation on IMSA computer lab machines for use with calculus courses for precollege students. Dover was a primary courseware contributor for the Mathematica Teacher’s Edition, shaping how instructors used it to teach math courses. Dover has taught thousands of students how to use Mathematica and the Wolfram Language over the course of her career. She is the author of two Wolfram Demonstrations and was the 1998 recipient of a Wolfram High School Grant. The team at ValueScape Analytics uses the Wolfram Language and Wolfram technologies to build the cloud-based computational back end for their platform. 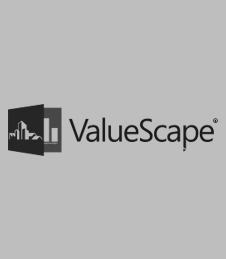 ValueScape is an innovative data science company providing real estate analytics solutions through Valuation Navigator, an iOS application for appraisers and lending institutions. The company leverages the Wolfram Language running in the cloud to provide statistical analysis, visualization, density plots, and geographic data integration.